What are some opportunities for you to move to a more strategic approach in your seasonal categories? Seasonal merchandising represents a huge incremental sales and profit opportunity for Retailers and Manufacturers. “Seasonal events” have evolved and expanded with changes in the Shopper, weather patterns, and new events to include everything from annual holidays, to multicultural holidays, to celebration and annual events, to special community events, and even weather-related events. Some major seasonal events are starting much earlier than in the past. Retailers who want to stand out in the marketplace now run “hot” priced features well in advance of the seasonal event to establish their stores as the best destination for the season. There is also a stronger concentration of sales during the few days before seasonal events. To realize and maximize the full potential of seasonal sales, you should apply the principles of category management to your seasonal categories. I've put together 4 best practices for managing seasonal categories that incorporate catman strategies, including a rigorous analysis post season to continuously improve your seasonal category plans. Begin by creating an overall retail corporate strategy specifically for seasonality which supports corporate objectives. 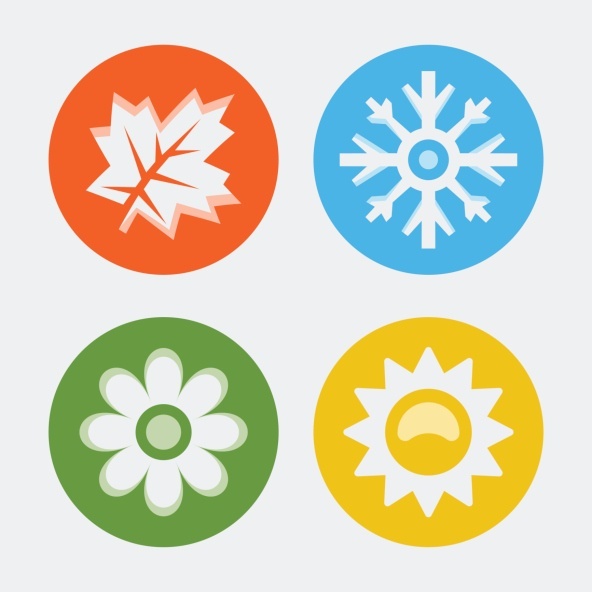 What should be included in your corporate seasonal strategy? Because of the opportunity for incremental sales and profit in seasonal categories, Retailers should also define how to collaborate with their Seasonal Manufacturers/Vendors for increased success. Next you develop a Seasonal Category Plan driven by historical performance and future trends. The plan should include a category assessment, tactical analysis and a scorecard to measure success of the season. Your category assessment should analyze weekly sales performance (using seasonality index) and compare to previous year benchmarks using share of market, market share pt change and growth results. The assessment should also incorporate an analysis of the Consumer/Shopper, including trends and how they may impact the seasonal category. For Retailers that cluster their stores, you should compare performance and results across clusters. For categories that are heavily promoted and aggressively priced, you should include baseline and incremental sales results for additional insights. From a topline level, aggregate sales by category, segment (based on consumer decision tree), brand and item. Compare these results to category share by calculating a fair share index. Next, complete an item level analysis using item rank reports by segment (not by total category!). Make sure that you analyze all new items for the past season, including a comparison of assortment to items in market and other channels for new sourcing opportunities. You should review the size and location of seasonal shelving / displays this year and identify any out-of-stock issues, comparing space allocation vs sales at a macro level. Assess the effectiveness of planograms and identify improvements, incorporating data into POGs for important insights into turns, inventory, out of stocks (remember to include consideration for how well the planogram was executed in stores!). These tactics are the key drivers of incremental sales and profit for the seasonal category. Promotional analysis should start with a topline “fair share” analysis across brands and segments to identify opportunities for your target Shopper. The analysis should include a comparison of ad dates vs market timing (did you “beat” the market? did you want to?). When analyzing specific promotions, review weekly ad items and lifts/ROI associated with ad price points, including competitive considerations. Your pricing analysis should help you to understand price elasticity and opportunities to improve gross profit with full price items. Review promoted and regular price points vs competition and how they impacted gross profit. Both will help you to establish price points that you don’t want to exceed. The other important part of pricing is assessing your markdown program, including timing, % of markdown and opportunities for improvement. Once you’ve developed the category plan and analyzed the tactics, you need to execute effectively in your stores. Execution is typically owned by your retail category management teams. Strong communication of your seasonal plan via a critical path is key – keep everyone informed, including your retail ops team, retail stores, and Manufacturers/Vendors. While “in season”, track weekly sales in your stores and ensure there’s adequate inventory in the distribution center. Where necessary, transfer product from stores with excess seasonal inventory to those where opportunities exist. You should also get out to your stores and competitors to assess performance, note new opportunities, and identify new seasonal items. The last step is to complete a post season analysis to review results and make adjustments to the plan for next year (using the same analysis as in Step 2). Your post season should take place immediately after the end of the season once all of the data is available for you to review, and while it’s still fresh in your mind. Get feedback from your stores and your Manufacturers/Vendors on suggestions for improvement for next season. Make note of any tactical, competitive and/or executional details that can be done better next season. It’s already time to start the Christmas plan for next year – make sure that you develop your insights now to build better plans for next season. Want to learn more? Purchase our category management training webinar recording on "Seasonality Analysis" for only $50. Learn how to tap into your Manufacturer/Vendor partners for help with some of the analytics to provide perspective on Shopper and category trends that will help you make a better plan for the next season based on what’s most important to you. You can learn how to create a strategic seasonal category plan that will delight your Shoppers and help you to maximize sales and profit for your stores.